Let’s face it, not everyone is a braiding genius. But clients love braids so what are you gonna do? First of all, don’t let the braid game intimidate you. 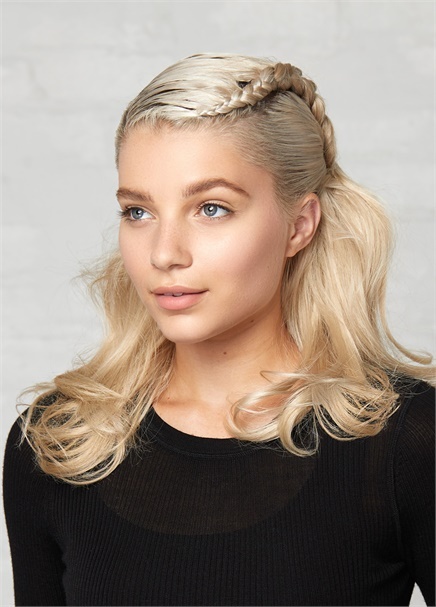 Not every plait has to be as intricate as a dream catcher. In fact, in many cases, the simpler the braid, the better. 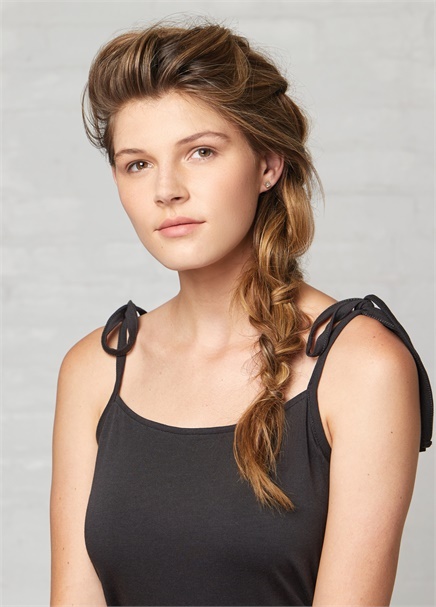 Here’s living proof—from the creative team at Living Proof—that sometimes all it takes are a few deft twists to create a fresh and flattering braid hairstyle! Ready for romance? This princess-worthy shape by Living Proof Educator Pooja Shah (@hairbypoojah) is perfect for a relaxed special occasion. Step 1—Create a horseshoe section from each recession point to the crown. 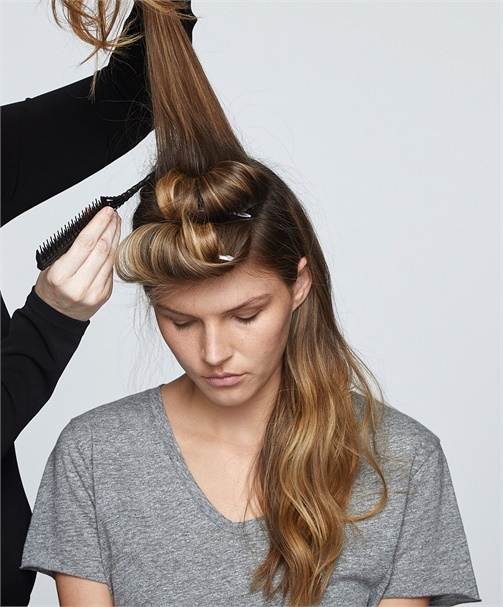 Step 2—Set the sides flat by doing a flat directional blow dry. Apply Living Proof Style Lab Flex Hairspray and secure with duckbills to allow the hair to cool. 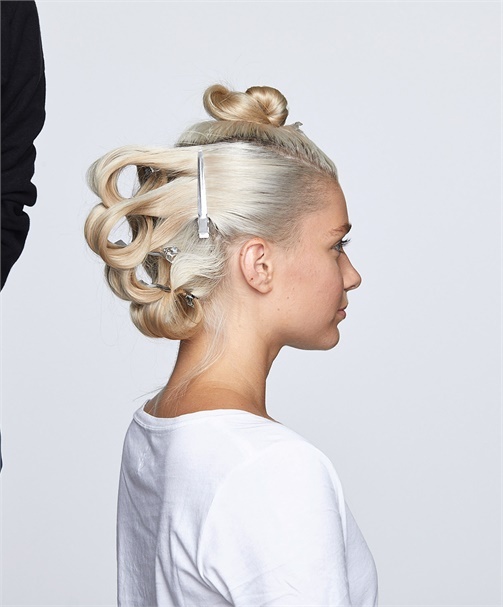 Step 3—In back, create large barrel curls with a 1-inch or 1 ¼-inch curling iron. Clip the curls to secure. Step 4—Prep hair with Living Proof No Frizz Weightless Spray. Create a narrow hairline section at one of the two recession points and begin creating a cornrow braid, directing the braid to the opposite side. Step 5—Release the curls in back. Mist each section with Living Proof Perfect hair Day (PhD) Body Builder and brush through from bottom to top. It’s all about a freeform and organic shape plus lots of volume when Living Proof Educator Lacey Hanmer (@imalacey) creates this double braid shape. Step 1—Create a U-shaped parting from each recession point to the crown. 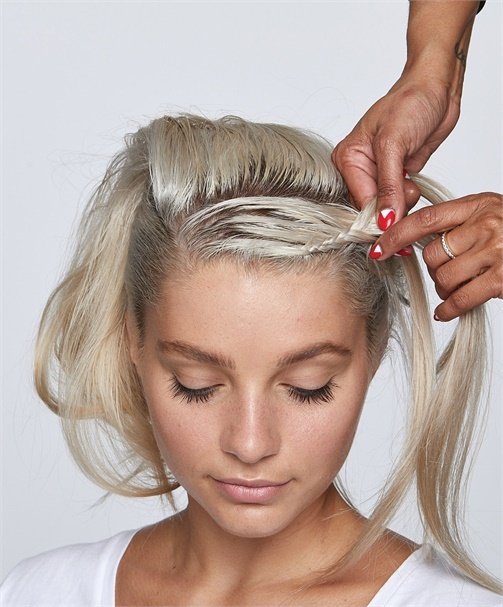 Step 2—Create 1-inch subsections within the U-shaped section, mist each one with Living Proof Perfect hair Day (PhD) Body Builder and backcomb on base. Roll each subsection into a curl and clip in place. Step 3—Mist the remaining hair with Living Proof Perfect hair Day (PhD) Body Builder and direct all strands to one side. Begin braiding the hair in an organic way—do not tuck in stray ends and allow the braid to knot up. 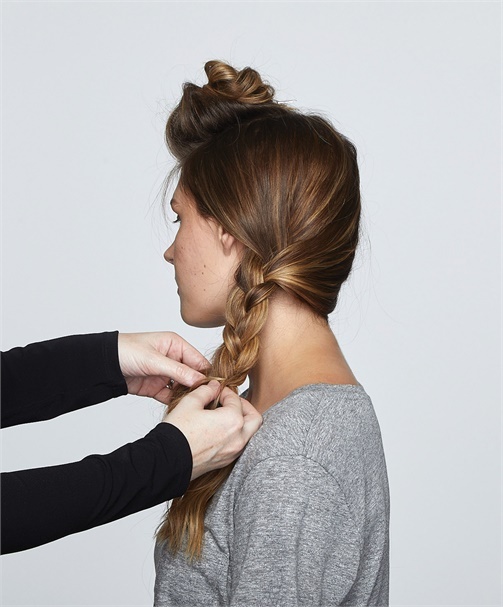 Step 4—If the braid is not secure, use an elastic on the end. Step 5—Release the top section and create a second braid, starting at the crown. As before, knot the braid and allow it to secure itself. Step 6—Weave the top and bottom braids together to blend. Step 7—Expand the braid to create a fuller shape, and mist with Living Proof Perfect hair Day (PhD) Body Builder. Big, bigger or biggest? How large is your salon personality? Take this quiz to find your “big” personality celebrity twin.